The United States isn't the only place for video games related events. 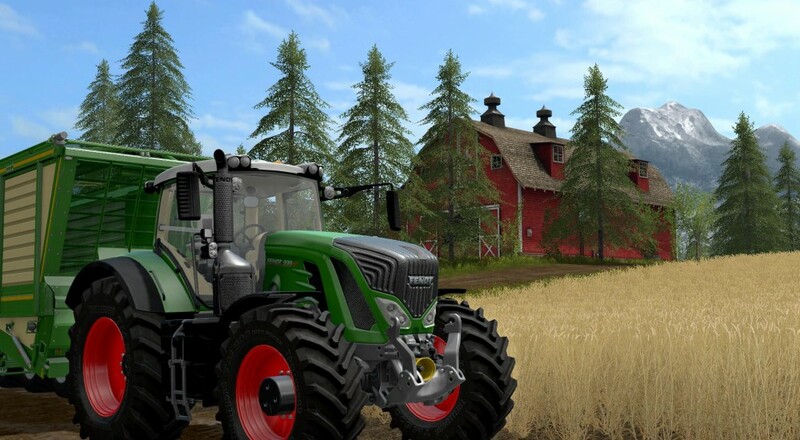 Gamescom kicks off today in Cologne, Germany, and the development team behind Farming Simulator 17 brought a new video with them that shows off some of the new features of the game. If you love farming equipment, then this may be the video for you. I mean, at right about the 40 second mark, this video shows all kinds of things unfolding and threshing and doing things that farming vehicles do. It then culminates with a fading shot of the ultimate showdown: truck vs tractor. Aside from that, it does highlight some of the new things that will be part of this iteration of the game, including new Goldcrest Valley environment, and a new railway system with trains you can conduct yourself. Farming Simulator 17 will be released for the PC, PlayStation 4, and Xbox One on October 25, and will support up to 16 players on the PC and 6 players on the consoles. Page created in 0.4897 seconds.